NOTE: Konteradmiral (Ing.) 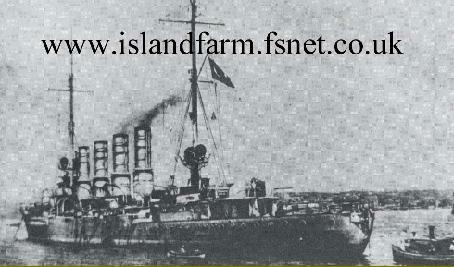 Voß was the German Liaison Officer at Island Farm. 6 August 1914: Entered the Imperial German Navy as a War Volunteer with the expectation of a career as a Navy Engineer. 6 August 1914-28 December 1914: Assigned to the II. Werft [Shipyard]-Division. 29 December 1914-12 September 1915: Assigned to the light cruiser Arcona. 13 September 1915-4 January 1916: Assigned to the II. Werft-Division. 20 April 1916-17 May 1916: Assigned to the pre-dreadnought battleship Zähringen. 18 May 1916-23 August 1916: Assigned to the armored cruiser Fürst Bismarck. 24 August 1916-1 September 1916: Assigned to the I. Werft-Division. 2 September 1916-14 July 1917: Assigned to the torpedo boat G 91. 15 July 1917-9 October 1917: Assigned to the I. Werft-Division. 20 January 1918-30 September 1919: Prisoner of war; returned to Germany and placed on leave. 1 October 1919-11 November 1919: Assigned to the I. Werft-Division. 1 June 1920-7 July 1920: Transferred to the Baltic Sea Ship Cadre Division. 8 July 1920-20 December 1921: Naval School Kiel-Wik. 21 December 1921-30 September 1922: Detached to the staff of the Baltic Sea Naval Station. 13 October 1922-27 September 1923: Watch Engineer aboard the light cruiser Berlin. 28 September 1923-1 March 1926: Adjutant of Naval School Kiel. 2 March 1926-25 February 1929: Watch Engineer aboard the light cruiser Nymphe. 26 February 1929-16 April 1929: Leading Engineer of the light cruiser Nymphe. 18 April 1929-22 September 1930: Company Leader in the North Sea Ship Cadre Division. 23 September 1930-22 February 1932: Assistant Machinist and Leakage Engineer aboard the light cruiser Emden. 23 February 1932-25 September 1934: Company Chief at the Naval School Friedrichsort. 26 September 1934-1 September 1935: Leading Engineer of the light cruiser Leipzig. 2 September 1935-25 October 1938: Staff Officer on Staff at the Naval School Wesermünde. 26 October 1938-25 July 1943: Consultant in the Operations Department of the Seekriegsleitung (Skl) [Sea Combat Command or Naval General Staff]/Navy High Command. 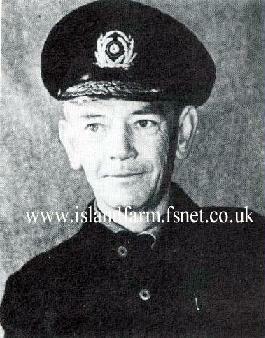 11 October 1944-31 March 1945: Higher Commander of the Warship Construction Training Department. 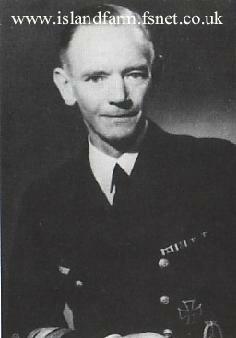 1 April 1945-10 May 1945: Chief of the Higher Shipyard Staff, Navy High Command Norway. 1 July 1945 - 21 February 1948: Prisoner of war in British captivity. Click here to see a photo of Konteradmiral (Ing.) Hans Voß in the company of fellow prisoners of war at Island Farm.